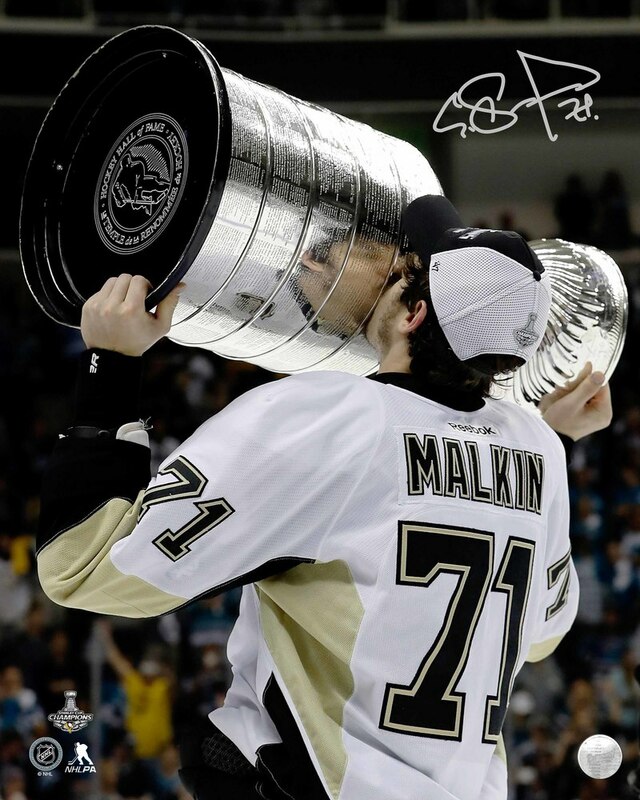 This 16x20" 2016 Stanley Cup action shot of Evgeni Malkin kissing the cup has been personally signed by Evgeni Malkin himself. A Frameworth hologram and certificate of authenticity are both included to ensure the legitimacy of the signature. This 16x20" photo is an officially licensed NHL Stanley Cup Championship product. Frameworth is the exclusive autograph source for Sidney Crosby & Evgeni Malkin. A Frameworth hologram and certificate of authenticity are included to ensure the legitimacy of the signature. Photo size: 16x20".